Login to view all member pricing. Our range of Profibus Connectors and Pre-Wired Front Connectors from Systeme Helmholz GmbH offer you a cost effective alternative for your application. The general product compatibility ensures a quick product change without any program modification. 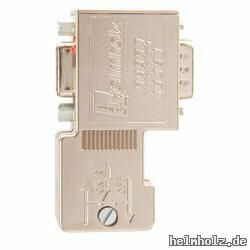 Helmholz Pre-Wired Front Connectors not only save you money but also installation time. The flat design permits optimum closing of the module front cover even with the connector fully wired. Register now to gain access to exclusive member prices.